Which Supplements Do You Need and Why? Optimal health requires healthy cells, and your cells need consistent vitamins, minerals and enzymes daily to maintain their busy schedule. If they don’t receive these vital nutrients, they will weaken—a primary cause of a reduced immune system and sickness. But which vitamins, minerals and enzymes are needed to achieve optimal health? With so many competing products and claims, it’s understandable that people get confused. 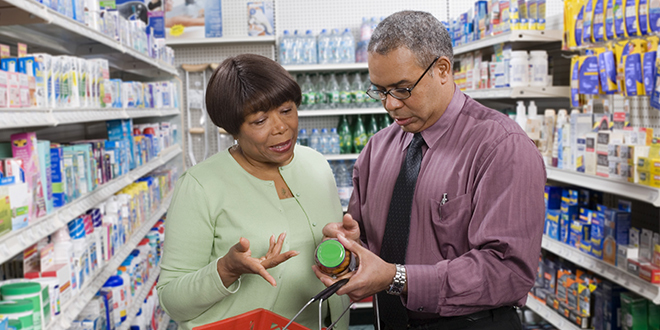 The confusion is compounded by the fact that people with chronic health conditions need more supplementation than others. Over the last 20 years, we have studied one of the most effective ways to strengthen the immune system: consistently drinking the pure juice of young barley and alfalfa plants. 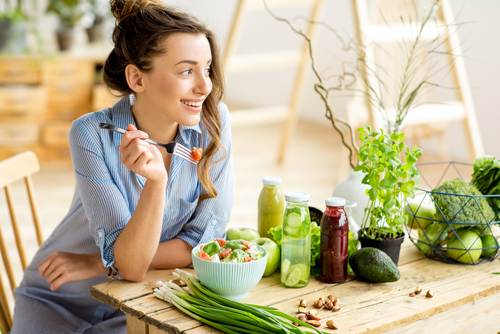 Scientists have studied the green juice factor for many years as they have tried to understand why these particular juices provide such profound benefits. 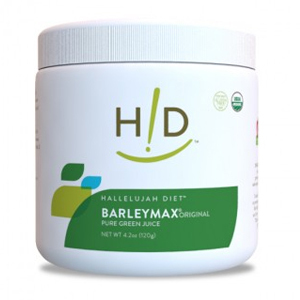 Based on scientific testing in our Raw Food Lab, Dr. Michael Donaldson determined that BarleyMax is the highest quality living juice powder and the most nutritionally dense product available. 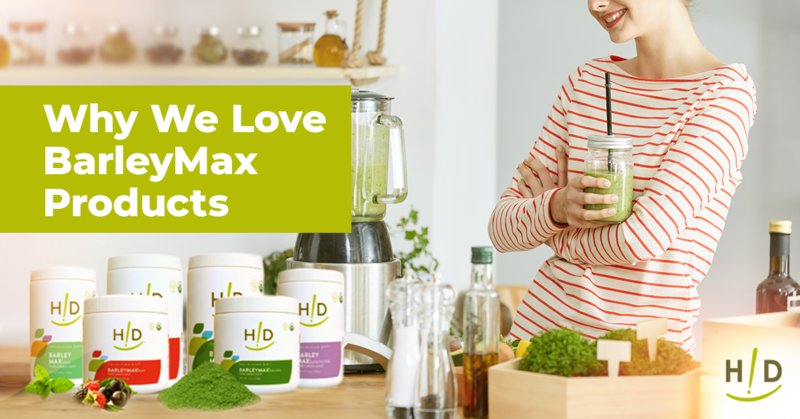 From the choice of seed to proper irrigation, timely harvest, unique method of dehydrating the juice into a powder and even how it’s stored, BarleyMax is carefully produced so that it consistently delivers an enzymatically active, vibrant and fresh-tasting green drink every time. Omega-3 from a plant source and fish oil (for the DHA). Omega-3 fatty acids are thought to provide a wide range of health benefits, including a lower risk of coronary heart disease and management of cholesterol. 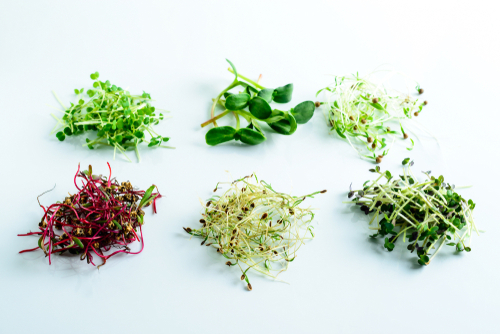 Many people don’t realize that you can get some Omega 3 from plants, including seeds, leafy greens, beans, cabbages and winter squash. But we don’t get enough Omega 3 from our diet. 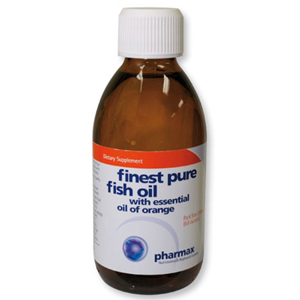 Fortunately, it is abundant in fish oil and we specifically recommend Pharmax Finest Pure Fish Oil because it is ultra refined and meets or exceeds all International Fish Oil Standards (IFOS) program approval guidelines. In a battery of 10 tests conducted by IFOS, Pharmax Finest Pure Fish Oil showed absolutely no evidence of mercury, arsenice, cadmium, lead or nickel. The Council for Responsible Nutrition’s allowable maximum of PCBs (polychlorinated biphenyls are industrial products or chemicals) is .09 of 1 part per million. This product tested at .000338 of 1 part per million. to maintain boundless energy. 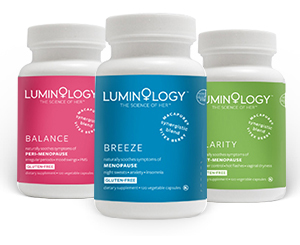 These supplements are important for rapidly dividing cells, nerve health, battling fatigue, helping the liver detoxify, reducing oxidative stress that can lead to inflammation and improving mood. 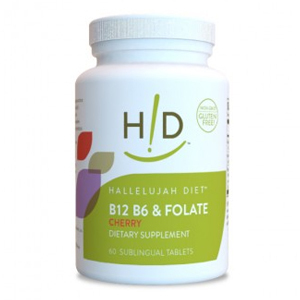 There is no B12 in a plant-based diet. If the intestinal bacteria aren’t producing B12, there is a good chance that we will be deficient—hence the need for a supplement. Iodine is essential for proper thyroid function, which regulates the production of energy in every cell. It also helps with learning and nerve development, especially in infants and young children. Nascent Iodine combines with amino acids that support apoptosis, essential when battling cancer. 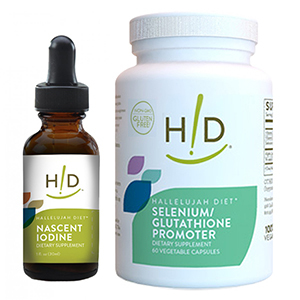 Selenium / Glutathione Promoter is designed to boost your immune system and avoid infections. It combines selenium and select antioxidants to stimulate the increased production of the master antioxidant glutathione to support your immune system’s defenses. 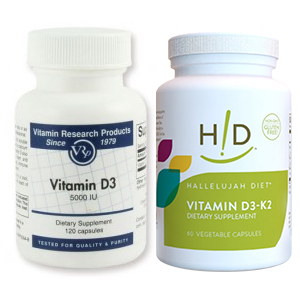 Vitamin D3-5000iu and K2 unless you have been tested and know that your D levels are above 50 ng/ml. Some people take D3 without K2, resulting in ineffective utilization of calcium and poor bone health. This supplement supports bone and cardiovascular health, and metabolism of calcium throughout the body. K2 (especially menaquinone 7) directs calcium out of the blood and into the bones. Probiotics—at least periodically for healthy people and definitely for anyone battling cancer or some other chronic health challenge. Just one caplet daily delivers billions of immune boosting bacteria throughout your entire GI tract to keep disease-causing bacteria under control. 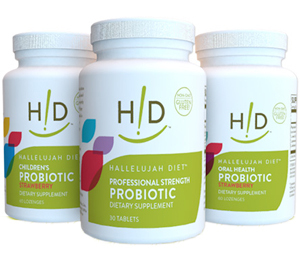 Professional Strength Probiotics delivers up to 60% of its bacteria all the way to your colon for optimal results. About 80 to 85% of the immune system is located in the gut wall and the number and type of bacteria in the gut determine the immune response. 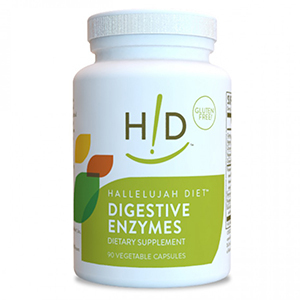 Digestive enzymes with all cooked foods. Remember that while the Hallelujah Diet is 15 to 25% cooked, cooking destroys the enzymes so we need to replace them when we eat cooked foods. Digestive enzymes enhance the ability to digest foods properly and maximize absorption of the nutrients that nourish healthy cells. Bio-Curcumin for anyone facing a chronic health challenge or any inflammatory issue. 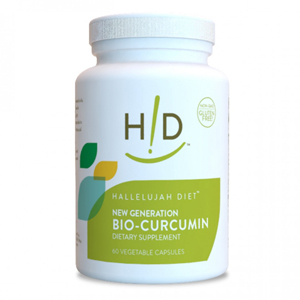 New Generation Bio Curcumin supports healthy blood and circulatory function, cholesterol levels and inflammatory response, an underlying factor associated with cancer. 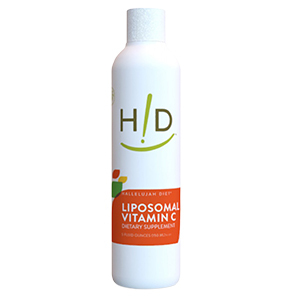 Liposomal Vitamin C if facing any cardiovascular, cancer, viral or bacterial challenge. It is unique because the vitamin C is absorbed directly into the bloodstream and cells—including white blood cells that use vitamin C to fight infections. In fact, this is the most absorbable and powerful form of vitamin C available. Unlike oral powdered and capsules of vitamin C, Liposomal Vitamin C does not cause gastrointestinal stress. Fiber Cleanse or flax seed if you are experiencing less than optimal bowel function. It’s important to detox periodically—at least once annually—to eliminate toxins that can make you sick. 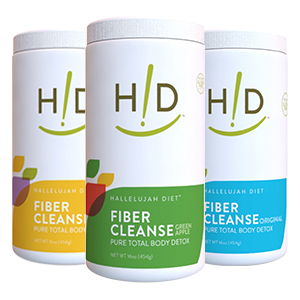 With Fiber Cleanse, you can rid your body of most toxins to promote cellular health, supercharge your body with active nutrition and lose weight while gaining strength. New Generation B-Flax-D (also an excellent fiber source) is formulated for long-term use and provides an easy transition from Fiber Cleanse (as Fiber Cleanse is designed for short-term use for two to three months) for optimal bowel function. 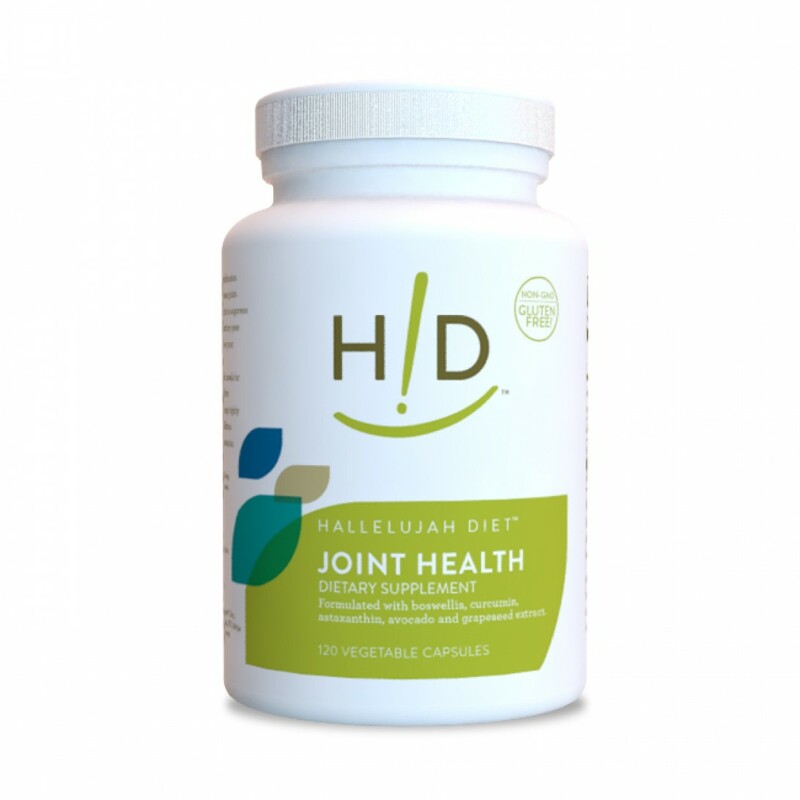 Joint Health if dealing with pain or weakness in your joints. This supplement doesn’t mask symptoms, but instead addresses the source of joint pain with dual action ingredients to reduce acute inflammation and support your body’s efforts to rebuild joint cartilage. Luminology for women with hormonal related issues. Specifically, Peri-Menopause Balance is clinically proven to reduce irregular periods, sleep deprivation, mood swings and PMS. Menopause Breeze can restore hormonal balance, cool hot flashes and calm anxiety associated with menopause. And Post-Menopause Clarity is clinically proven to reduce hot flashes, restore bladder control, reduce brain fog and relieve vaginal dryness. 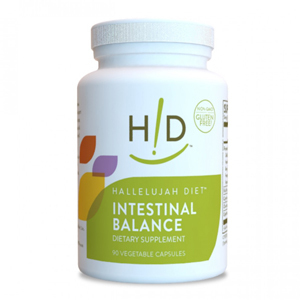 Intestinal Balance if dealing with fungal or Candida issues. A genus of yeasts, Candida is the most common cause of fungal infections worldwide. This supplement helps your body to eliminate undesirable bacteria. It contains a special enzyme blend that helps to break down and destroy candida cell walls, allowing your body to reestablish beneficial bacteria balance. As you can see, the optimal diet of supplements depends on the individual. But we all need high quality supplements to provide the vital nutrition to restore or maintain vibrant health at the cellular level. Because that’s the level where health lives. Thank you, so very much, for this practical/useful/quick-reference list with precise descriptions to meet people’s specific needs. Only a few hours ago, I forwarded the article/list above to a dear friend with a health condition that requires some of the products listed above. The response came back to me very quickly and my friend is so grateful for the information and will order the products. Thank you for this comprehensive listing re supplements. Was so helpful.